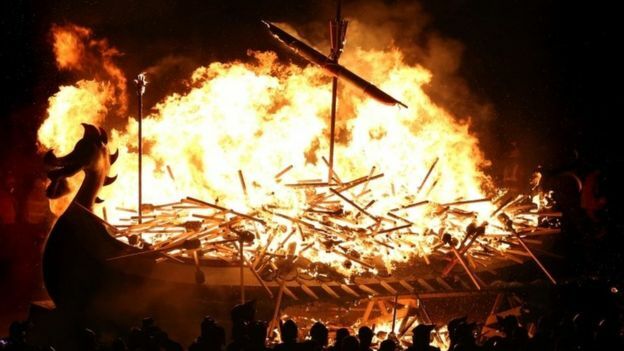 Up Helly Aa takes place in Lerwick, Shetland on the last Tuesday in January every year, with only breaks for the death of Queen Victoria (1901) the First and Second World Wars, and postponements for two weeks in 1900 for influenza outbreak and for the death of George V, and one week for the death of Winston Churchill. 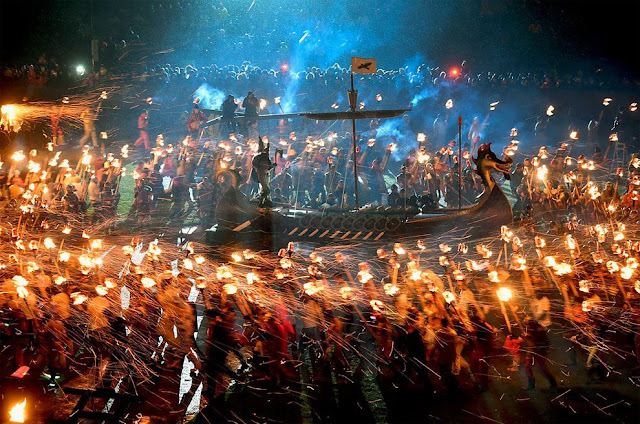 Though the festival has a very ancient Norse feeling, Up Helly Aa is a tradition that only originated in the 1880s. 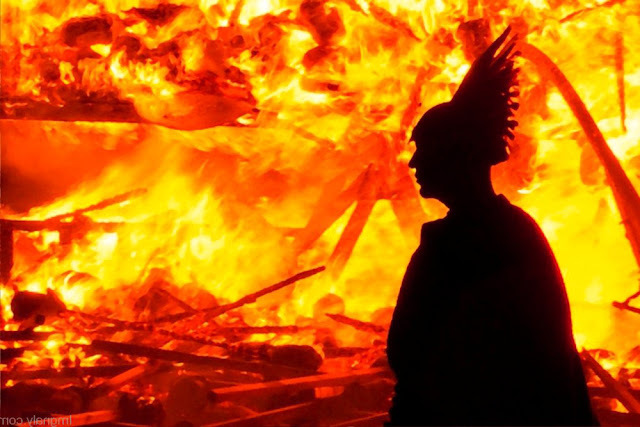 Since that time, the fire festival has been an annual event in the Shetlands. 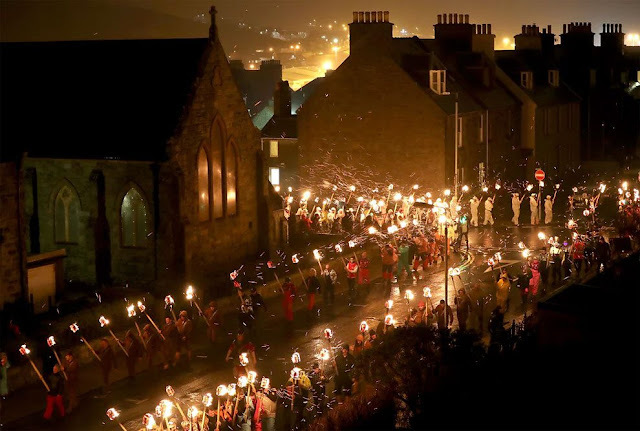 The current festival held in Lerwick grew out of the older Yuletide tradition of Tar Barreling, which took place at Christmastime and New Year. 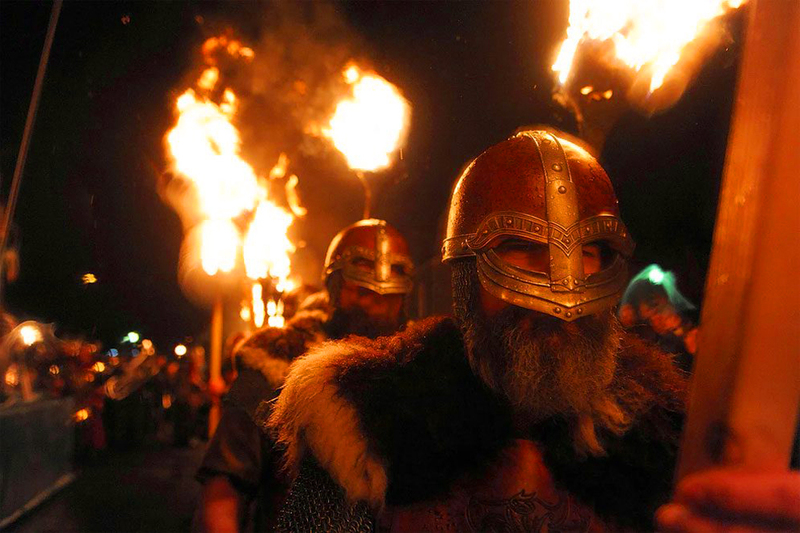 Rowdy lads would drag barrels of burning tar through town on sledges and making mischief. 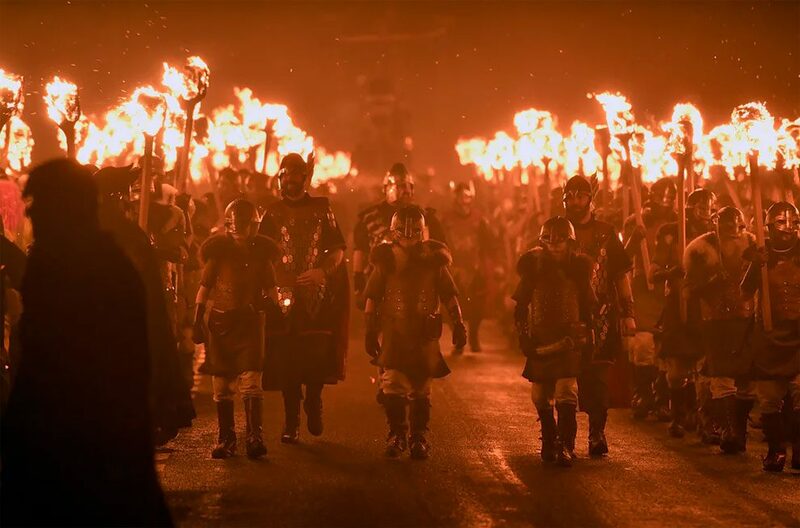 As this grew out-of-hand, the rites were abolished around the mid-1870s. After a few years, people began to miss the festivity so they obtained permission to have a torch procession, the first one taking place in 1876. 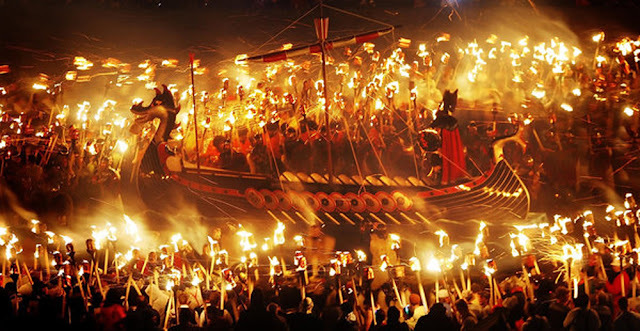 Soon, that was expanded into Up Helly Aa Day in 1881. The first Viking galley was burned in 1889 at the end of the parade at the Market Cross. 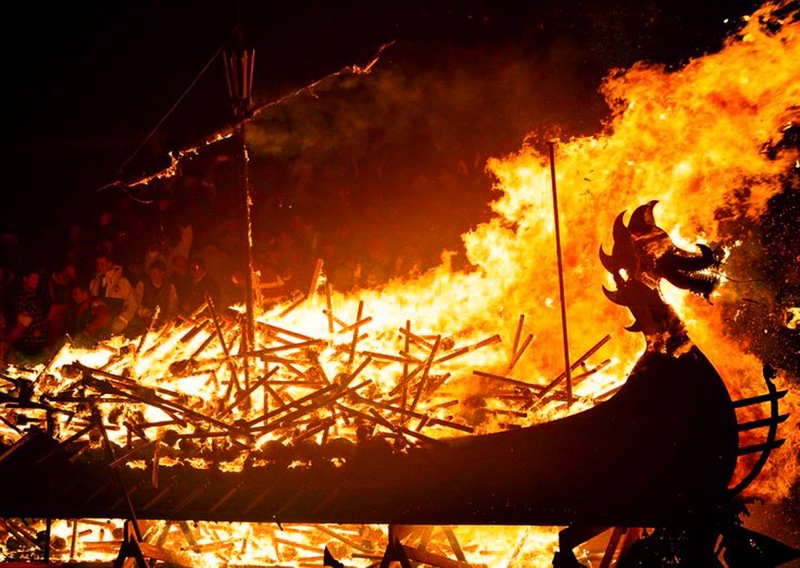 Early Galleys were made from a light timber frame of discarded wood, and covered with canvas. Modern Galleys are built and painted by local tradesmen. 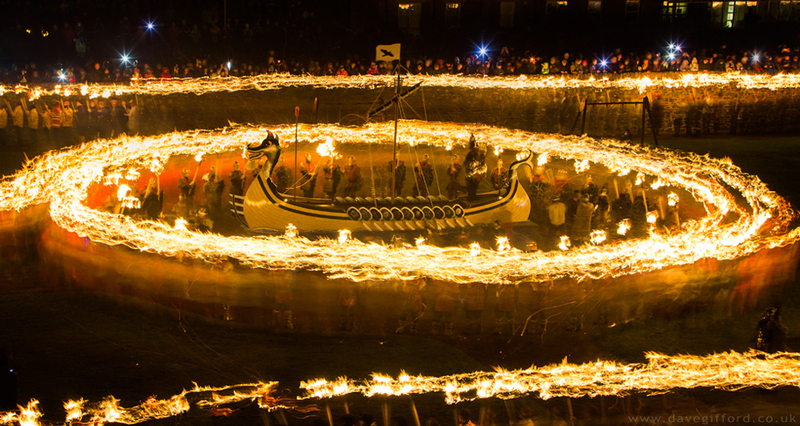 Work starts at the end of October and continues two nights a week until completed. 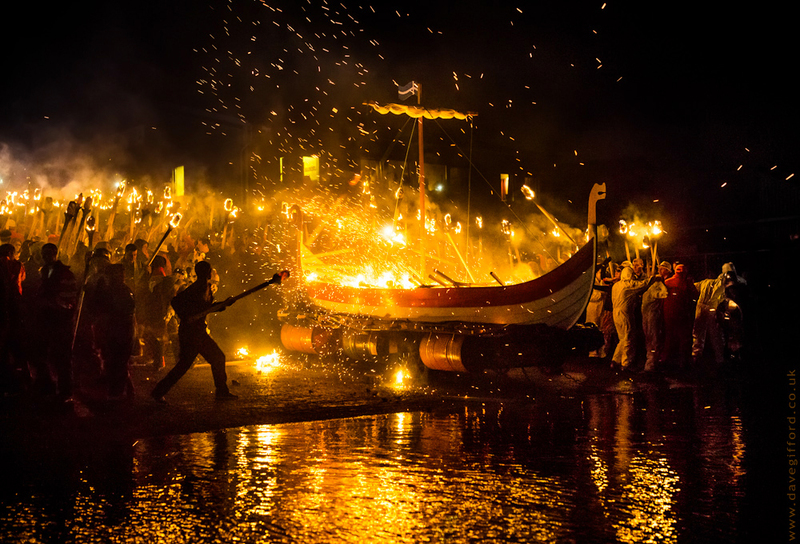 The torches in the parade are constructed from hessian sacks, with concrete “shoulders” to ensure they stay in place during the procession. 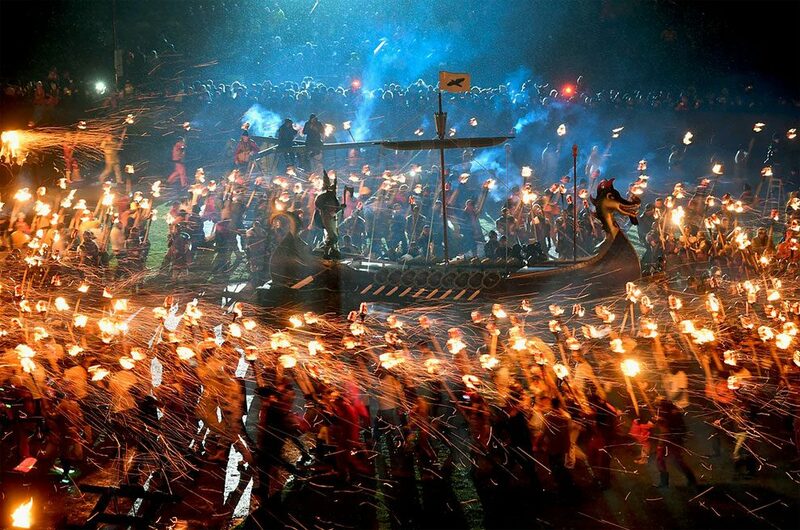 The Monday before Up Helly Aa, all the torches are soaked in fuel to ensure they burn well and last long. Each year sees it grow in popularity.